The ‘Step into the Circle’ podcast series is dedicated to sharing the stories, visions and work of the women of our community. In spotlighting each woman, our intention is to share her voice, engender support, and engage others who might hold similar visions. 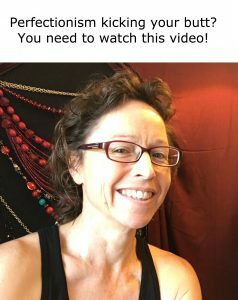 In this episode, our host Leslie Frame-Crowley, interviews WisdomWomen Visionary Member, Kristy Arbon. Kristy was born in Australia and has lived in the US for the last 10 years with her sweet American husband. She is currently the Founder and CEO of HeartWorks Training LLC, a small business set up to support women in their practice of mindfulness, self-compassion and shame resilience using the practices of Mindful Self-Compassion, Internal Family Systems, Brene Brown’s shame resilience model, Buddhist philosophy and exploration of archetypes. She is passionate about supporting women in taking care of themselves so that they can then go out into the world and do their important work. Kristy is also the co-steward of WisdomWomen’s Technology & Media Council. Leslie Frame-Crowley is a WisdomWomen Founding Member who believes in the power and necessity of sacred storytelling. Coming from a family with a strong tradition of story, and of understanding and connecting to the of the lives of her ancestors through genealogical study handed down from generation to generation, she connected very early on the the power, the fun, and the importance of story; our own stories, and our shared story. This calling has led her to the stage as an actor and to develop a love of writing. Step Into the Circle is a reflection of Leslie’s love of story. She believes that as we share our stories, our dreams, and our work, and as we celebrate other women as they do the same, connections are made, resources are shared, and creative hearts are nourished.